Is there really anyway you can prepare to welcome a brand new human being into the world? No matter how much I have prepared mentally, physically and practically it's always such a shock when the baby that has been inside of me for 9 plus months, is placed on my chest. It's just such a miracle. Although I am definitely feeling all the effects this tiny little person has been making on my body and psyche, it's still much different carrying it around inside of me then on the outside. I haven't been able to prepare our home as much I'd like since we are in the middle of renovations but I finally packed my hospital bag and got the bassinet out and cleaned! I really don't even feel prepared mentally either because I have had so many other things (if you can imagine that;) on my mind. I am kind of thankful though, because I haven't had time to worry about labor and giving birth. I think it also helps that my last delivery went so well with Luke. Although bringing another life into the world in the midst of so much else going on in our lives is crazy, it's also so exciting! Now that I have my hospital bag packed I thought I'd share what's in it. 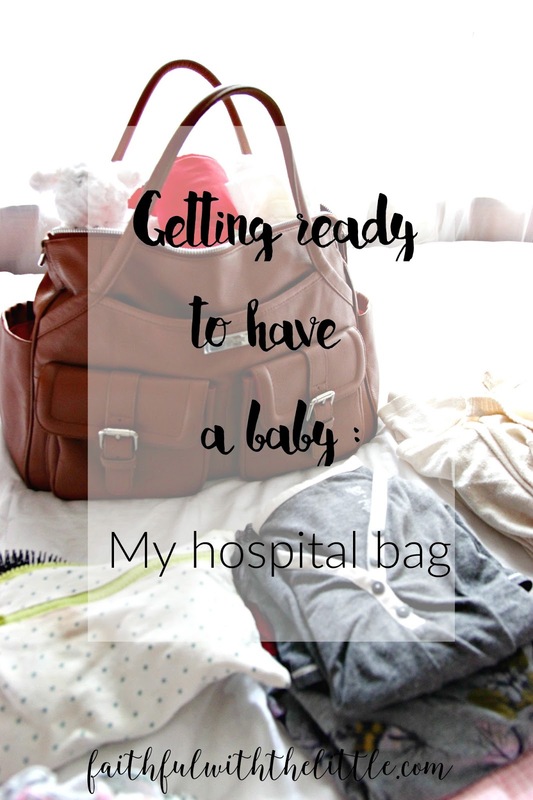 My diaper bag is doubling as my hospital bag this time around. This bag is probably one of the biggest splurges I have ever made but I have bought so many bags that have fallen apart. With all the bags I have bought, I could have bought this one a long time ago. 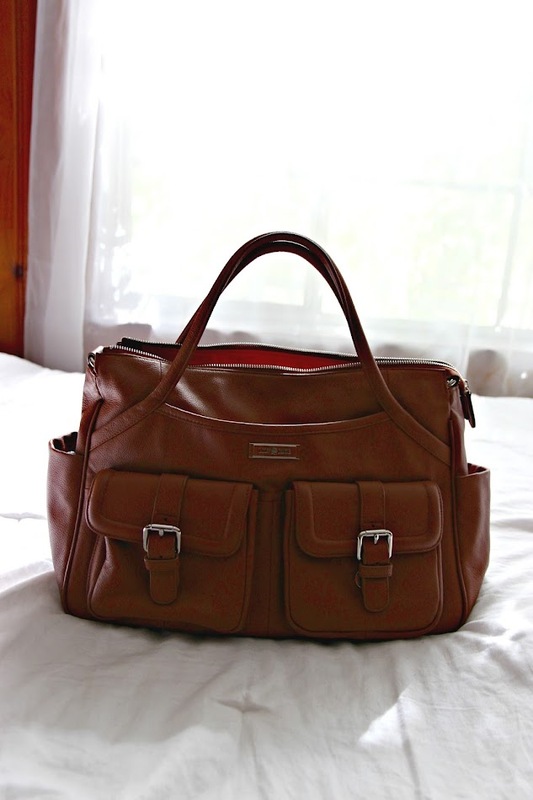 I love that it is leather and doesn't even look like a diaper bag. One of the things that made me really want it is that it can be worn either on the shoulder with small or long straps and as a back pack. It fits really nice over a stroller also. It also has a bright red washable insert and if you want to take the insert out the inside of the bag is made of the same washable material. I felt really guilty after I bought it( though I used some blog money I had saved up) but I have finally comes to term with it and am really glad I made the plunge. With each baby I have had I tend to realize that I need less and less stuff in a diaper bag so I like that this diaper bag is not too big. I have been using it already and love it! Ok, so now that you know all about my bag. What is in my bag? There is something about having nice clothes after labor that makes you feel so good. A friend of mine gave me some money specifically for getting new pajamas and a robe so I went for it. I found this beautiful robe from PinkBlush Maternity. They have so many different patterns and colors to choose from. You can get them on amazon or their site. I am so excited to wear it! It's so pretty! These are pretty obvious but sometimes they are the things you forget to bring but need the most! I received this outfit from my baby shower and I just love it! Yay for sweet girly clothes. It will be perfect because it's just starting to get a little colder here. I am bringing a couple of these, because chances are I might need to change the baby a couple of times in the hospital. I love these swaddle blankets. I have swaddled all my babies and although every baby is different it has really been great for mine. I find that they tend to easily awake when they can brake free from their blankets but if they feel like they are held tight they seem to sleep longer. I love having a simple receiving blanket for nursing. These are so sweet and pretty. One of the reasons I have had all my babies in the hospital is that I really love being able to rest and recuperate after birth. Yes, they poke and prod the baby and I, a lot but it's so nice to be taken care of not have to be the one getting up and checking all the babies vitals. The 2 days of rest that I get in the hospital go a long way to helping me go back home to all my other babies;) Once those 2 days are over, believe me I am ready to get home! I have been so blessed to be able to have natural water births with 4 out of my 5 children at the same hospital. I know not everyone has the same experiences but I have been very fortunate. I love being able to have the natural experience that I want along with the great care of a hospital. And it's nice to know that if anything did happen where I or the baby needed immediate medical assistance; we are already at the hospital. So now that I have everything ready all there is to do is wait for those labor contractions to come on and make it to the hospital in time! I usually go very fast so I am praying that this little girl will give me fair warning! If so what do you bring to the hospital/ birthing center or have ready at home? 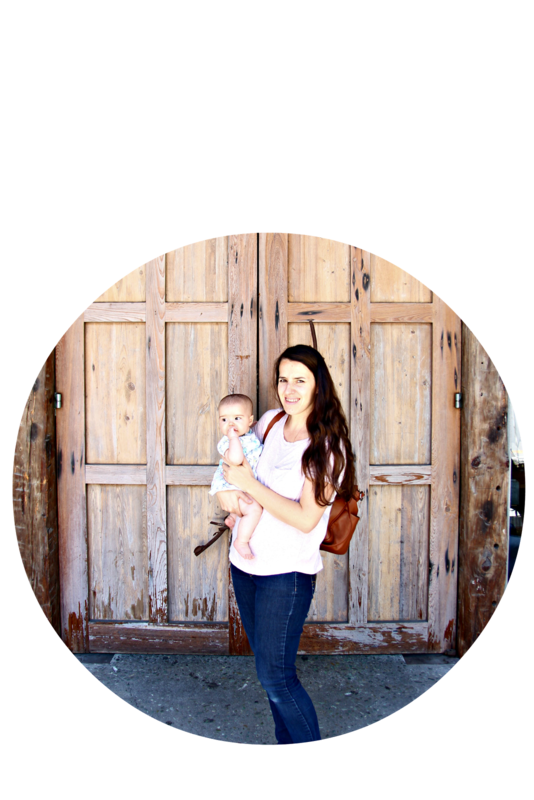 Have you ever not made it to the hospital or birthing center? 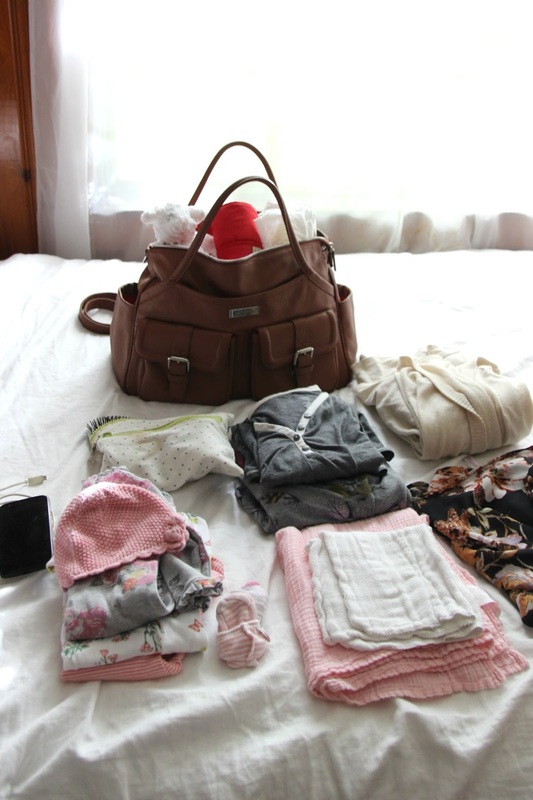 Your diaper bag is gorgeous and a totally worthy splurge - think of how much use you have gotten/will get out of it! I'm curious to learn more about that AfterEase Tincture. My cramps were terrible after having my second baby and I am wondering if it only gets worse after each child. And I LOVE that you can have a waterbirth at your hospital! My first was a natural birth at the hospital and second was a waterbirth at home. Home births are great, but people showed up the same day baby was born and it was too much for me. Lesson learned - we're setting more strict "visiting hour" boundaries for future children, Lord-willing! Thanks Amy, I'm so happy I took the plunge;) I'll have to let you know about the afterease as I have never used it before. I'm hoping it helps! With each one they have gotten worse but with my last one (5th baby) I didn't have ANY after pains!!!! I didn't even have to take motrin! I think it was a definite miracle and am hoping I will have a repeat this time! Yes, you need to rest after baby that's why I love going to the hospital, it forces me to rest!! I can't wait to introduce you! !